The team from this World Famous tourist attraction in Portsmouth approached Mr Zen to produce a website that would much better show off their assets to a wide range of audiences from Visitors to couple planning their weddings. 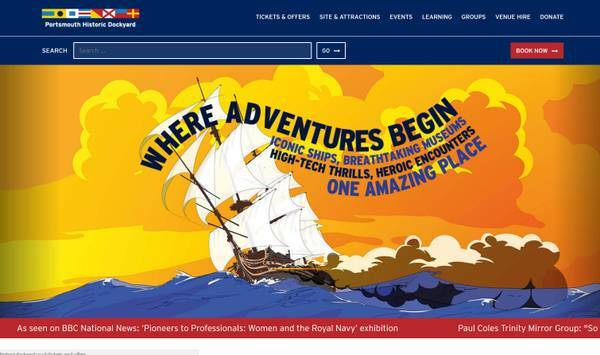 This website represents a significant step forward for the dockyard and we have enjoyed working with Mr Zen on the project. The key to a successful travel website is to engage a partner who knows the complexities of the tourism industry. Mr Zen was established in 2008 and has been producing complex, mostly bespoke and ground breaking websites within the specialist travel & tourism industry ever since.